Corsican Places exclusively charters two flights into Calvi, North West Corsica: one from London Stansted with Titan Airways, and one from Manchester with Flybe. These two charter flights have many positive selling points for families, becoming a preferred choice compared to no-frills carriers operating into different airports on the island. Advantages include convenient morning departure times; pre-assigned seating; comfortable seat pitches; luggage allowance for infants* and creative resources (‘Kids’ Packs’) for children on board. Corsican Places also co-charters a flight into Figari, Southern Corsica with bmi. Sharing many features of the above, the flight schedule of this route perfectly coincides with accommodation check-in and check-out times. As the UK’s closest Mediterranean island, the flight time to Corsica is short being no more than two hours, twenty minutes, which along with easy accommodation transfers makes it a very low stress destination. With over 140 property choices within its portfolio, Corsican Places presents a ‘Property Guide’ to highlight those which are most suitable for families – villas with pools being a year on year favourite. In Corsica, all swimming pools are securely fenced, covered or alarmed as per French regulations. Foldable high chairs and cots (excluding cot linen) are provided free of charge in Corsican Places self-catering properties. Baby and booster seats can be requested in Corsican Places hire cars although the tour operator does advise taking the family’s own car seat and pushchairs – which can be carried free of charge on Corsican Places charter flights. The tour operator is able to arrange a babysitting service for those staying in self-catering properties (service on request). Corsica has 1000km of coastline and close to 200 beaches, all of which are incredibly clean both in terms of the beaches themselves and also the quality of the water. The island’s diverse landscape means there is a similar variety in the makeup of beaches. White and gold sand beaches contrast with pebbles; main town beaches are complimented by hidden coves reached only by boat and foot. The shaded and gently shelving nature of many of the beaches offer peace of mind for families wanting to bathe and explore. 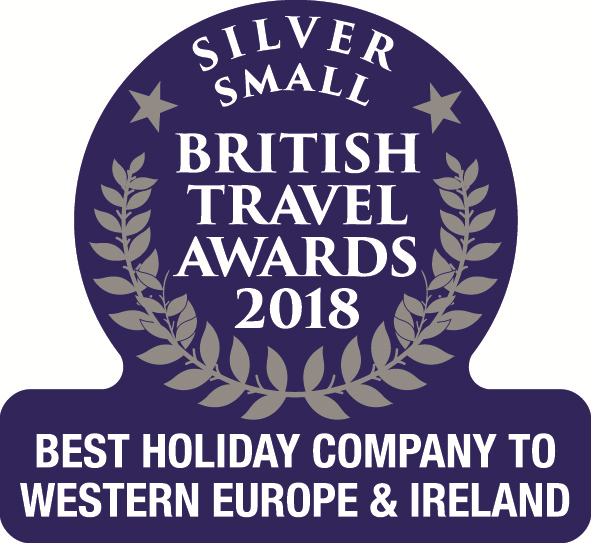 With experienced staff in the UK office and a knowledgeable resort team based on the island year-round, Corsican Places is on hand to advise tried and tested fun and memorable family days out. A ‘Top Ten Family Days Out’ is shortlisted in the tour operator’s brochure with headings such as ‘Coastal Train’, ‘Tortoise Sanctuaries’, ‘Treetops & Mountain Climbing’; ‘Craft Workshops & Local Produce’ and ‘Horse-riding, Pony Treks & Donkey Rides’. Corsican Places applies Child Discounts (children 02 – 12 years) throughout the whole season ranging from 10 – 15% with one child discount available per full fare paying adult. Call Corsican Places for more information & details. Family-friendly properties are plentiful and include the three-bedroom Casa Cassaninca in Calvi Town which from its elevated position offers far reaching views of both the sea and Calvi Citadel. New to the Corsican Places 2012 programme the air-conditioned villa comes complete with patio and enclosed private swimming pool and is just a twenty minute stroll from the sandy beach, centre of town and quayside. This season, 7 night holidays at this villa start from £574pp based on six sharing and including return flights London Stansted – Calvi or Manchester – Calvi, taxes, welcome pack and car hire. * Available on London Stansted – Calvi only.